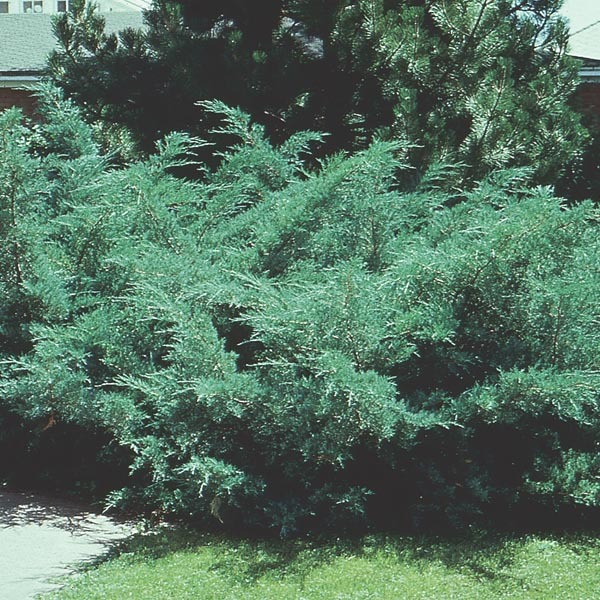 The straight chinensis species of Juniper is a finely textured column of evergreen beauty. A huge selection of named varieties under this same species cover the range from tall to dwarf to groundcover. The many desirable varieties also offer a range of color from darkest green to cool blue-green and rich gold. Provides dramatic color and form to autumn and winter landscapes. Versatile selection can be grown as a small tree or large shrub. Best for large scale landscapes.